Honestly, I don’t have too much to say about this – it’s really about the pictures. It was over 100 degrees at the fair on Sunday and there wasn’t nearly enough shade. But other than that, it was really fun. And the beer was quite refreshing. 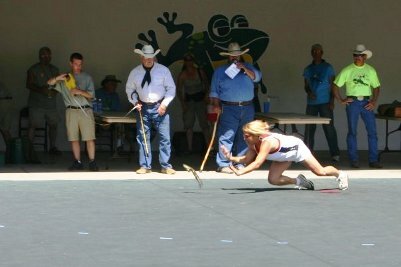 Every year at the Calaveras Country Fair in Angels Camp, CA there is a Frog Jump. It has been going on for generations. 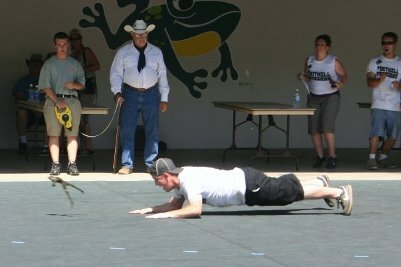 Mark Twain even wrote a short story called The Notorious Jumping Frog of Calaveras County. So basically you have a frog, you put him on the starting pad then get behind him to stomp and yell at the frog to jump. 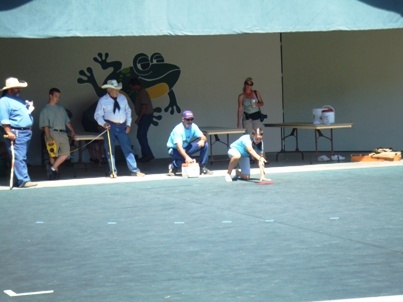 The judges then measure where the frog lands on their third hop. It was so friggin’ hot that we couldn’t sit and watch all of the frogs jump, but I think we got the idea. After we almost passed out watching the frogs, we wandered around and took in the sites. Ah yes, the sites of a county fair. They can’t be beat! I know you know what I mean – the beer bellies, mullets, the tight pants, and cleavage. 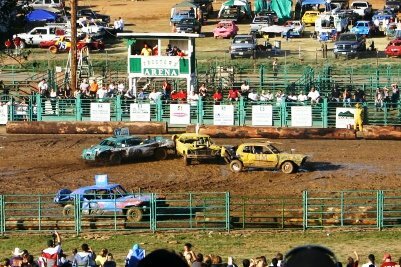 There was a little demolition derby in the evening. 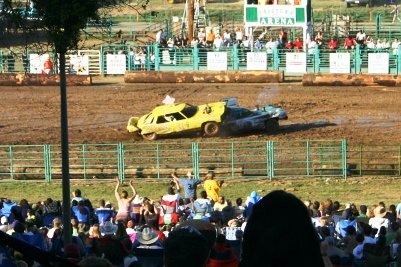 It was fun, but I’ve seen better; I think the area they were in was just too small to really get any good action going. All of the fair pictures were taken by my boyfriend as well as by my life-long friend Heather, who just so happens to be a wonderful and very talented artist. Check out her site and show her some love: [Heather Leslie – Parley Design]. There are so many pictures of the fair and I’m too lazy to upload them all here since they’re already on my Facebook. So here are a few and see the rest on my Facebook page. 50 queries in 2.424 seconds.